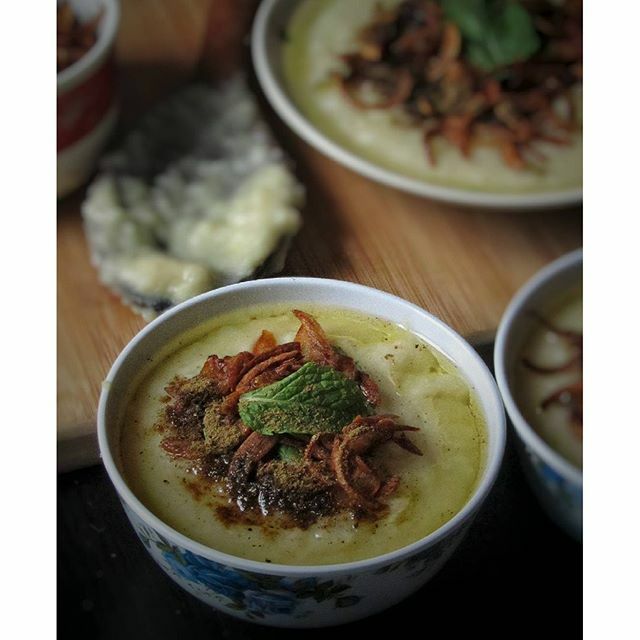 Weekend breakfast - a simple haleem my grandmother used to cook for her entire fam. Usually the haleem is made from broken wheat but this one is cooked from rice and lentils, is meat free and garnished with pure ghee, fried onions, garam masala powder, mint and a squeeze of lime. A perfect for breakfast to keep you full until lunch.